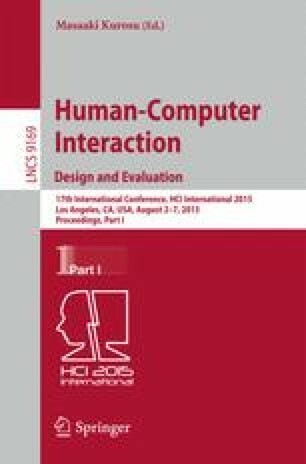 In this paper we’re presenting the formalization of a set of guidelines to support interaction designers in their activities during the processes to design applications. We are using these guidelines in the construction phase of the design process and these strategies are being applied to support the interaction design of user’s workflow, integrating professional, personal and social contexts. These strategies were used in a hospital for treatment of chronic mental illness in Brazil. During this study we observed healthcare professionals in their daily activities and with these data we developed information and communication solutions to bring new technologies into their day-by-day activities, in the way not to interrupt their routines. After some data collection and analysis we evaluated the results of our research. These analyses helped us to understand some weak points in the design process that do not simplify the integration of the different contexts in which users are naturally inserted. Thus, we proposed a set of guidelines to an interaction design process with the objective of supporting interaction designers in their work of developing natural solutions, integrating the different contexts of the users. Also, with the integration of contexts, we promote the extending of user’s abilities. We thank all team from LIA/UFSCar by collected data, with observations, interviews and design meetings in the hospital. We also thank the Federal Institute of São Paulo for the financial support.